This article is brought to you by Liquid IV, whose rehydration solutions are the perfect way to replenish your electrolytes while taking in the rich history behind the Etowah Indian Mounds. 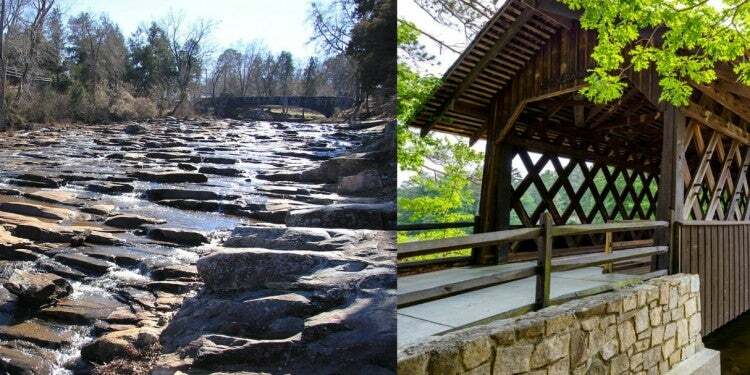 For history buffs and outdoor lovers alike, the state of Georgia offers a wealth of sites and activities that combine early North American history with modern outdoor attractions. Despite the Peach State’s long list of popular places to visit, the Etowah Indian Mounds remain one of its least-known landmarks. Yet, the history and culture at this national historic site make it one of the most interesting places in Georgia’s humid northern hub. Contrary to what a quick image search might tell you, there’s more to the 100-foot tall earthen mounds than meets the eye. If you’re planning or considering a trip to this historic site, here are a few things to keep in mind. 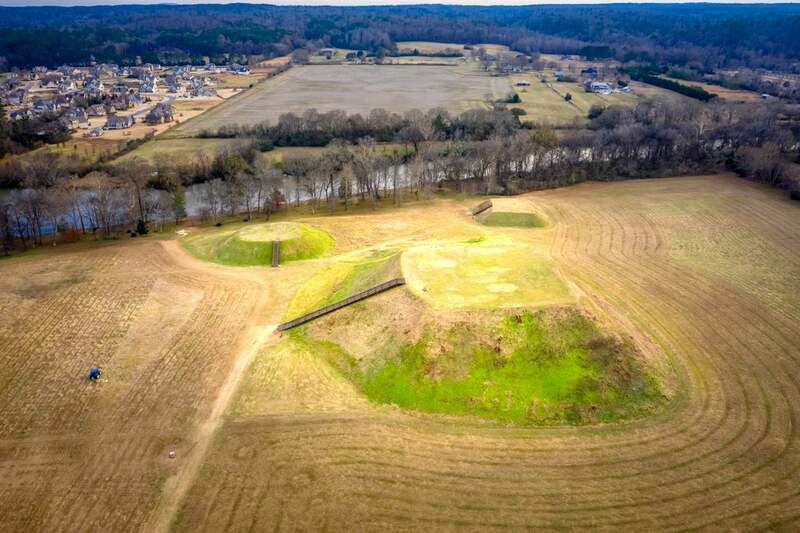 The Etowah Indian Mounds were built by the Mississippian Peoples, a smaller segment of the Southeastern Native Americans that inhabited the area from around 800 CE to 1600 CE. Nothing is known about the Mississippians (named for their dwelling place on the banks of the Mississippi River) from writing or early manuscripts, but a significant amount of information about their lifestyle and habits has been gleaned from excavation and study of historical sites like the Etowah Mounds. Broadly speaking, it is theorized that the Etowah Indian Mounds were constructed over a period of hundreds of years and functioned as integral components to the Mississippian society. The mounds, constructed from massive amounts of clay and earth and formed as truncated pyramids (picture a pyramid with no pointed top), were built to support religious temples, Chief Priest’s dwellings, and other critical culture centers. They were constructed at varying heights to signify the mounds importance in society, with long, angled sides, and a flat top to accommodate building structures and, occasionally, burial grounds. The tallest of the Etowah Indian Mounds is the Temple Mound, which accommodated at least one large structure on its top, and spans 3 acres at its base. The Temple Mound is over 60 feet tall and would have been one of the most important sites in the Mississippian Society. The middle-sized mound is theorized to have been a lesser temple mound, and stands at over 30 feet tall. Although not quite as large as the Temple Mound, it too was thought to have held a large structure on its top. The shortest of the Etowah Indian Mounds stands at only 10 feet tall. 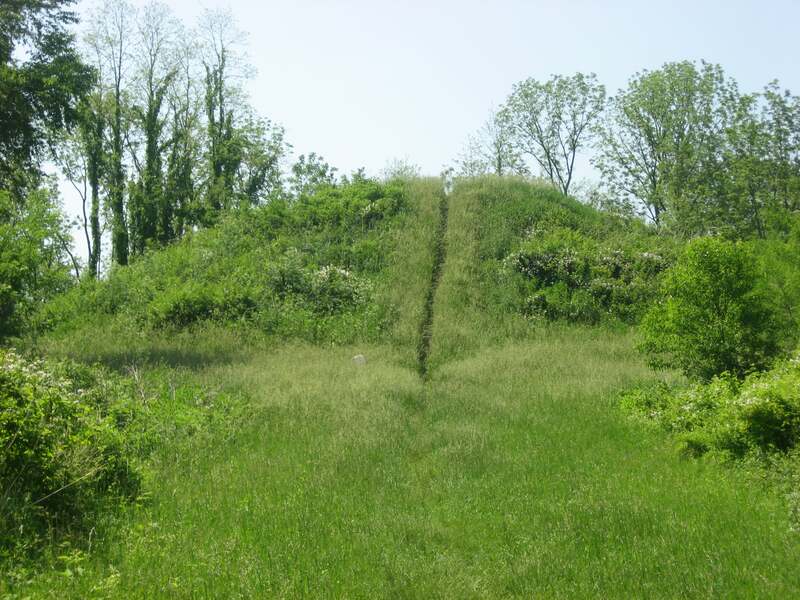 This mound was used as a funeral mound, used as the primary burial site for the village around the mounds. The funeral mound is the only one that has been excavated. The wide open space in between the Etowah Mounds is theorized to have been a plaza-like space, where the main day-to-day activities of the Mississippian society took place. Given the size and spacing of the Etowah Indian Mounds, historians and researchers have guessed that the area was home to several thousand Mississippians at a time. Despite the development around the mounds, only 9% of the Etowah Indian Mounds have been officially excavated for the artifacts supposed to be buried within them. Given how infrequently this occurs among other historical sites, where excavation is prioritized over preservation of the site itself, it’s an extraordinary opportunity for visitors to see what the Mounds looked like without much need for modern structural additions. As a result of the careful and minimal excavation efforts, which have limited both structural and superficial damage, the Etowah Indian Mounds present a vivid and undisturbed visitation experience unparalleled by all but a few similar historical sites. Most visitors to the Etowah Indian Mounds have at least some idea of the historical context behind the earthen mounds’ formation, but few realize how productive the small excavation efforts have been. The Funeral Mound is the only mound that has been fully excavated by archaeologists and historians. Since it was the only mound primarily used for burials, it contained a significant number of artifacts in a relatively small space. 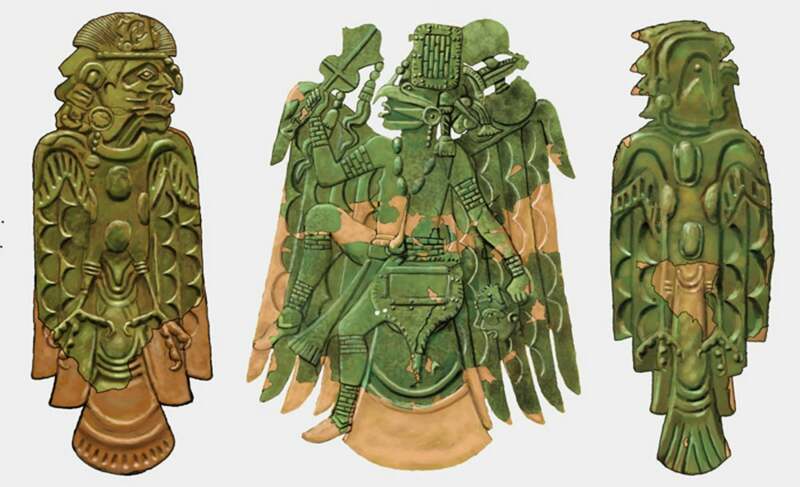 Despite the Funeral Mound being the smallest of the Etowah Indian Mounds, researchers and archaeologists have managed to find artifacts ranging from 125 stone effigies to copper plates utilized in burial rituals. The excavations have enabled historians to piece together the purposes of the Etowah Mounds as well as to speculate on the societal origins of the Mississippian peoples who inhabited the area. Excavation in areas around the Mounds has also revealed some of the larger tools used by the Southeastern Indians, including large v-shaped fishing traps and other civilized tools. Given the level of sophistication and craftsmanship that the artifacts represent, it is largely believed that the Mississippians were highly skilled as artists and agricultural craftsmen. The artifacts discovered in and around the Etowah river have also suggested that the Mississippian people worked with a large trade network of other tribes, utilizing the river as a means of shipping goods through the Southeastern region. Although the Mississippians were largely wiped out as a result of Hernando De Soto’s plundering of the Southeast region, many of the artifacts they left behind can still be seen at the Etowah Indian Mounds museum, which is dedicated to preserving the culture and impact of the Mississippian Peoples on the Southeast. 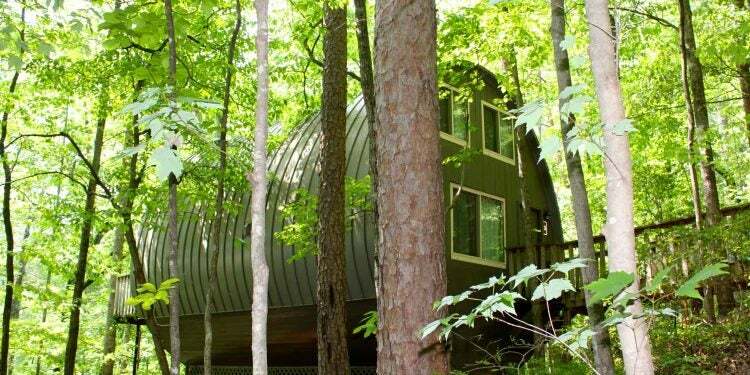 Visitors to the site can expect a wide range of activities, including a nature hike which travels along the Etowah River, and provides excellent views of some of the earliest artifacts discovered at the site. One of the Etowah mounds has been fitted with a small set of steps, so that visitors can see the impressive size of the mounds. Image from The Dyrt camper Kaity H.
Although camping is not allowed at the Etowah Indian Mounds historic site, there are a number of options available in the surrounding area, including McKaskey Creek Campground, which is situated right on the shore of the 12,000 acres Allatoona Lake, about 20 minutes from the Etowah Mounds. With Atlanta just 45 minutes to the north, McKaskey Creek is an easy-to-access campground that offers a variety of water sports as well as its very own swimming beach. 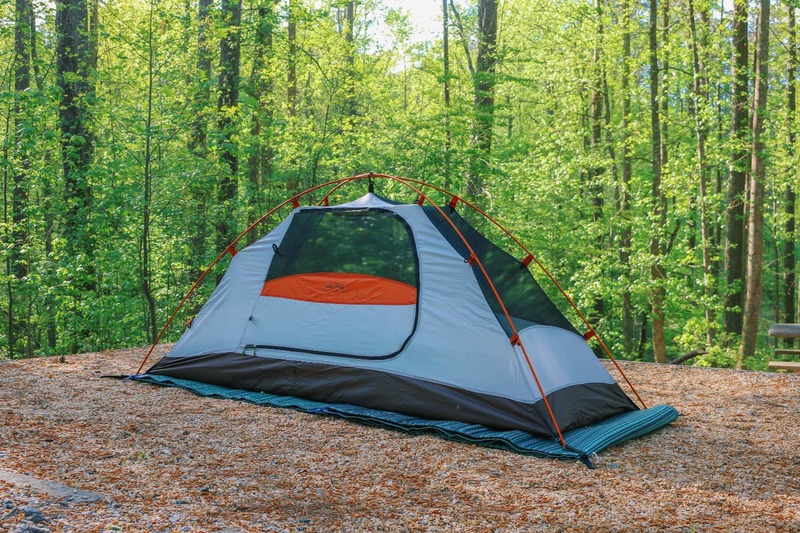 The dense forest surrounding the campground makes it a perfect spot for just the right amount of seclusion, while still being close in proximity to major historical sites. 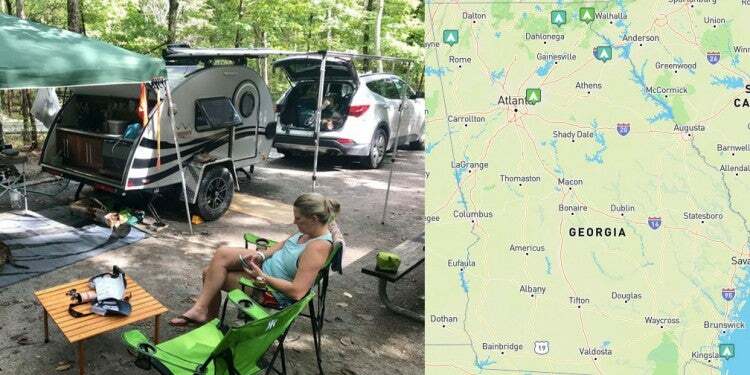 In addition to McKaskey Creek, Red Top Mountain State Park offers premier lakefront camping on the other side of Lake Allatoona from McKaskey Creek. 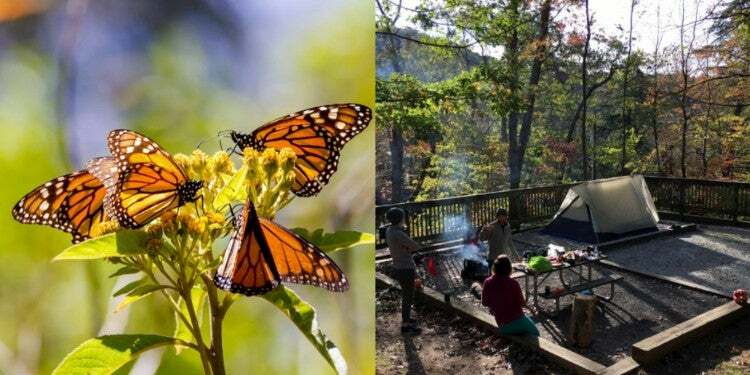 While the state park offers swimming, water sports, and a plethora of fishing opportunities, Red Top Mountain is also known for its hiking, featuring over 15 miles of trails that showcase some of the Southeastern region’s best wilderness. Just don’t forget to pack plenty of fluids (we think Liquid I.V. 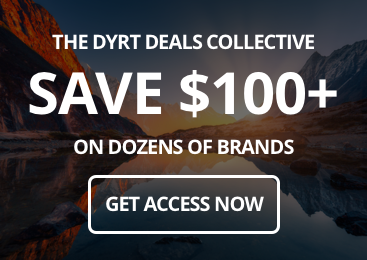 is a great option for an extra hydration boost) as summer temperatures can reach into the 90s, with humidity in the eighty percent range. Visitors can also enjoy a paved path that winds its way through the park, and includes a chance to peek inside a reconstructed homestead dating back to the 1860s. 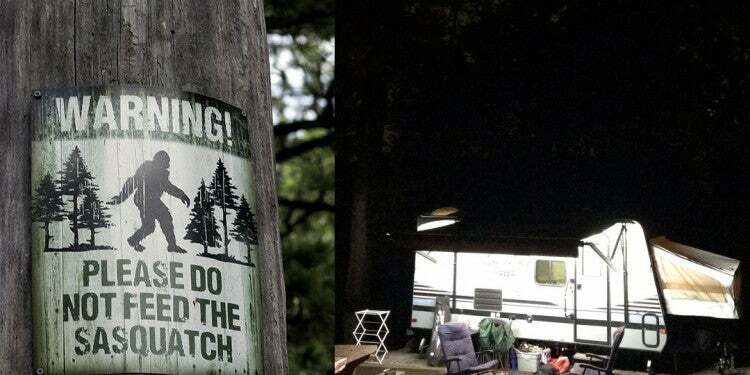 The state park offers tent and RV sites and 18 cottages. Red Top Mountain, named for its soil’s rich color, is a short 15-minute drive to the Etowah Indian Mounds. 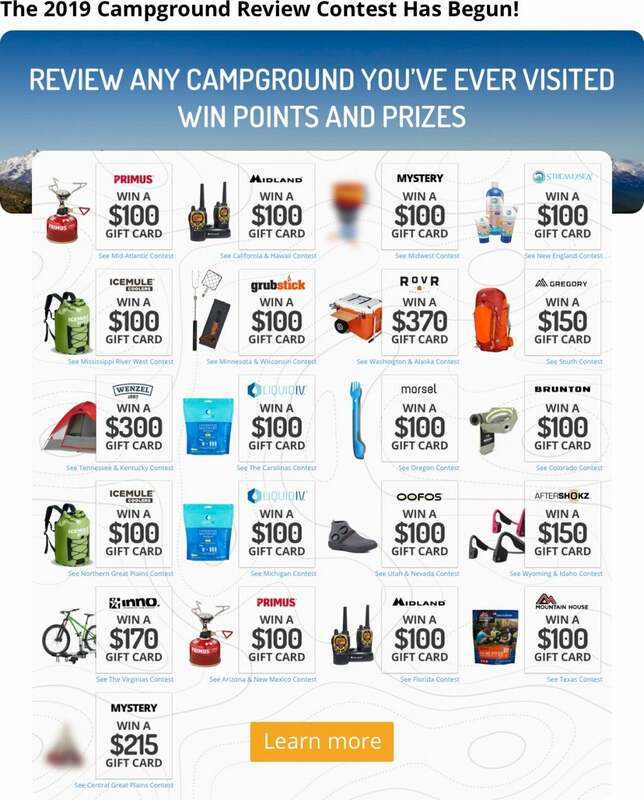 Interested in historifying your next camping trip? Check out this article on essential women’s history month facts and where to camp nearby! Liquid IV’s blog has all of the hydration wisdom, from how to handle dehydration in kids to finding your perfect hydration pattern.